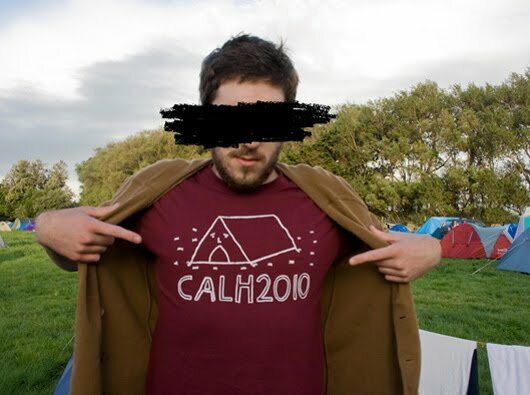 THIS be a T Shirt I designed for Campus A Low Hum 2010. Now, I feel I need to elaborate on the usage of two of the words in that sentence. Firstly, it was hardly "designed"... it was doodled. Secondly it was not "for" Campus A Low Hum. 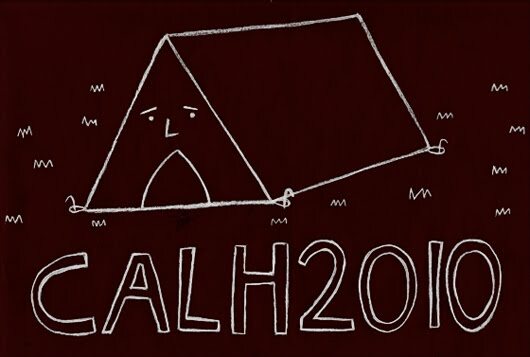 It was for me and in no way endorsed by or affiliated with CALH in anyway, I merely appropriated their acronym for my own purposes. Now, I have a new shirt. I wore it for two out of the three days CALH was on, and may not wear it again. OR! Maybe I will wear it always. I am quite proud of my disembodied hands. Considered making any of your more awesome comics into shirt designs..? If you do not consider it now, then I shall simply make my own t-shirts with said comics and perhaps one day you'll see me wearing them... and we can deal with any copyright issues then.